“Canada’s Conservatives condemn the recent use of military force by Russian forces on three Ukrainian Navy ships, as they transited the Kerch Strait between the Black and Azov Seas. These acts represent an unacceptable escalation of tension in the region, since the beginning of the Russian military occupation of sovereign Ukrainian territory. “As a senior NATO partner, Canada must urge our partners to address Russian aggression in the Black Sea region. The Kerch Strait is key to Ukrainian economic development, and any violation of the transit rights of Ukrainian ships in this area goes against international law. “Today we call on the Liberals to impose a wider range of sanctions against those responsible for the attack. We also urge the Trudeau government to provide lethal aid to Ukraine’s military as we requested last spring. This recipe originated with Ukrainians in the United States. By the early 2000s it was becoming part of their Thanksgiving tradition. This yellow-coloured borsch was intended to be served as the first course of Thanksgiving Day dinner. Since then, however, the Saturday after American Thanksgiving (i.e., the fourth Saturday in November) has become an official day of remembrance to commemorate Holodomor. This has created a very appropriate, and dedicated, occasion to serve it. The borsch is always accompanied by a moment of silence. This is in remembrance of the millions of Ukrainians who died in the Holodomor famine-genocide of 1932-33 and the following Years of Terror at the hands of soviet communists. As well, in remembrance and gratitude for those who survived, and for the family's own abundance today. The recipe is patterned after the meatless borsch served at Ukrainian Christmas Eve dinner, Sviat Vechir. It varies from family to family, but the one constant is the substitution of yellow beets for the red. Yellow (also called golden) beets give the broth a golden colour. Yellow is a colour often related to mourning in Ukrainian culture. To make Remembrance Borsch, start with a mushroom broth. If you can get them, used dried mushroom caps imported from Poland. (These are the closest to those that used to come from Ukraine before Chornobyl.) Otherwise, use a combination of Italian porcinis, Japanese shiitakes, or other flavourful species. Soak dried mushrooms several hours or overnight. Wash carefully to get rid of any bits of sand or dirt. Strain the dark water through a coffee filter and add it to the salted cooking water for the washed mushrooms. Let it simmer several hours, adding more boiling water as needed. If you’re pressed for time, the ready-made mushroom broth now available in supermarkets or delis will do. To the broth, add chopped or shredded beets, chopped potato, carrot, onion, mushrooms, dillweed, a bay leaf, and season with salt and pepper. There are no rules, other than using ingredients that even the poorest peasant would have in his or her bit of garden. Add your favourite vushka (mushroom-stuffed mini perogie-like dumplings), sprinkle with chopped fresh dill. If you can’t find yellow beets, use a combination of white turnips and a parsnip (for sweetness). Colour the broth with a few strands of saffron, a pinch of turmeric, or as a last resort, a few drops of yellow food colouring. If you don’t have the time or skill to make vushka, dried mushroom-filled Italian tortellini are a reasonable facsimile. Don’t skimp on the fresh dill. (Make sure to use fresh, not dried dill weed or dill seed.) Most supermarkets carry fresh dill year round. As well, it can be chopped and frozen fresh for use later. Whether or not you are celebrating American Thanksgiving, this is an excellent symbolic borsch to serve during Holodomor Remembrance week wherever you are in the world. This recipe and the accompanying information came by email from Peter Borisow, of the Hollywood Trident Foundation. Update: It has been presented on Nash Holos Ukrainian Roots Radio by Judy Hrynenko (audio link here) and Sylvia Molnar (audio link here). These features have aired every November for the past several years in honour of Holodomor Remembrance. Had a wonderful time at the 2015 Borsch Fest in Victoria, BC on Saturday, November 07! One of the organizers, Maria Koropecky (who was interviewed on the Nov. 4 edition of Nash Holos) challenged me to enter the competition, so I did. I was honoured (and, quite frankly, astounded) that my entry won the People's Choice Award ... and also Judges' Honourable Mention. Came home with a cash prize (which covered the cost of ingredients and gas for the drive down to Victoria) for the People's Choice Award. 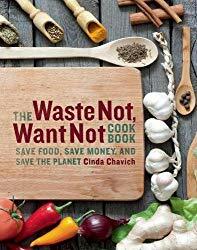 For the Honourable Mention, I received a copy of a great cookbook by one of the judges, Cinda Chavich, The Waste Not, Want Not Cookbook: Save Food, Save Money, and Save the Planet. The theme of this book is especially poignant, as Ukrainians tend to abhor wasting food, given how often throughout history, especially during the soviet era, it was denied them. Along with Cinda, the other judges were Lee Aitchison,Hospitality Management Instructor at Camosun College; and Michael Tymchuk, producer of CBC's food show The Main Ingredient. The borsch I entered was not the typical beet red that most people associate with borsch. That's because it was made with yellow (golden) beets. It's called Remembrance Borsch, in honour of the Holodomor, the soviet-engineered famine that deliberately starved to death 7-10 million Ukrainians in 1932-33. The colour yellow is symbolic of mourning in Ukrainian tradition, so that's why this borsch is made with yellow beets. I've been sharing the story of Remembrance Borsch with listeners of Nash Holos Ukrainian Roots Radio for several years now. 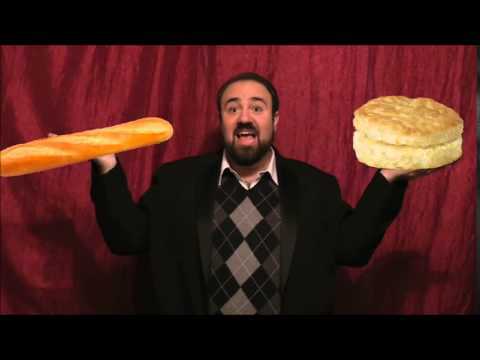 If you're not familiar with it, and would like to be, check out this blog post. For anyone who tasted my Remembrance Borsch at the Borsch Fest and would like to try making it, I am very sorry but there is no recipe proper (as in with proportions). And I am unlikely to ever reproduce the batch I made (with the help of my friend Gerri) as I didn't keep track of the proportions I used. However, I will share what I remember, to the best of my abillity. The rest is up to you. Which is kind of fitting, because by nature Ukrainians are very individualistic and independent ... and that is in large part why the Soviets tried to wipe them out, by starvation and other gruesome methods. November is Holodomor Remembrance Month, and the last Saturday of November is set aside as Holodomor Remembrance Day. At sunset, candles are lit in remembrance of those who perished in this heinous, man-made famine. To me, it's very important to make this borsch and remember the millions of innocent victims, so that never again will human beings be starved by the millions merely to promote an ideology. This recipe for Remembrance Borsch should create a reasonable facsimile of the one I made for Borsch Fest. Saute the mushrooms, onion, half the cabbage, and half the dill in butter until the veggies are a nice golden colour. Put them in a large stock pot, along with the liquids, seasonings, and the rest of the veggies, except for the beets. Simmer until the potaotes and rutabaga are soft, about 1/2 hour. Add the shredded beets, and gently simmer for about 1/2 hour. NB: Make sure the borsch does NOT boil vigorously. Borsch should never be boiled. It makes the beets lose their colour and just does something to the taste that is less than desirable. Keep it at a gentle simmer. This will make a huge stock pot full, about 10-12 litres, so you might want to cut the ingredients in half. A tip for preparing the beets for borsch, especially using red beets: Scrub really well, trim off any blemishes, and put them to simmer, with the skin on. When soft, drain the beets and cool. Reserve the liquid. This will be your beetroot broth. When beets are cool, peel and shred. Adding the beets at the end will keep the beets from going white, so your borsch will have a nice, rich colour. I hope that some day serving this yellow borsch to commemorate Holodomor Remembrance Day will be part of Ukrainian tradition. We should never forget. If you decide to try it, I'd love to hear how yours turned out. Meanwhile, here are some pictures from the 2nd Annual Borsch Fest in Victoria.